""Honesty is passé, as it is elsewhere." 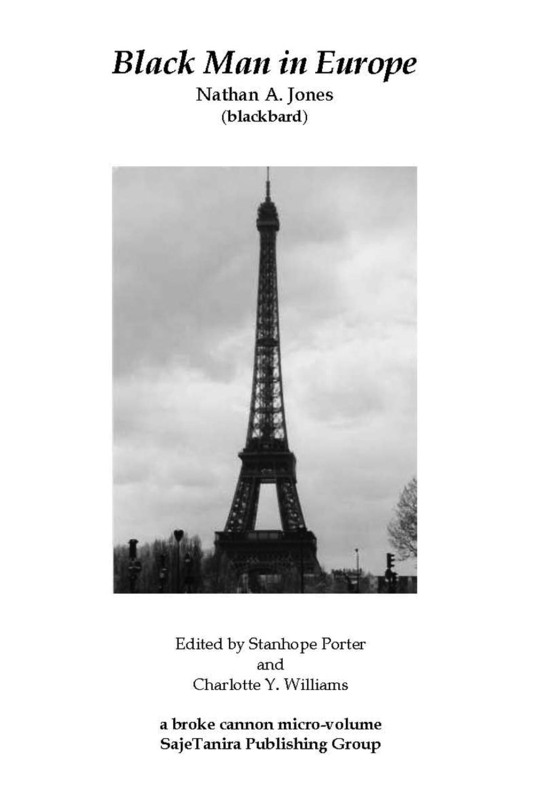 The present micro-volume, Black Man in Europe, consists of a selection of abridged chapters from the novel of the same name. Black Man in Europe is a story of what can happen when a man on a free-spirited journey explores the inter-workings of the world of cafes, hostels, train rides and stimulating dialogue with his Western European counterparts. SajeTanira Publishing's catalog can be found here and at the finest online retailers.